I have not been to The Grandstand for a while but my recent visit chance upon Nam Kee JB Handmade Pau located inside The Grandstand, a few doorsteps away from Omakase Burger. Besides selling some dim sum items and bao, majority of the guests are queuing up for the Mee Hoon Kuay and Ke Kou Noodle. Hence I also joined in the queue to check out the reason for the long queue. The first thing I did is to take a sip of the soup. It almost knocked me off my chair with the rich ikan bilis flavour. The bowl of Mee Hoon Kuay ($3.50) comes with ikan bilis, mushroom and minced pork. I added an egg for additiional 50 cents. 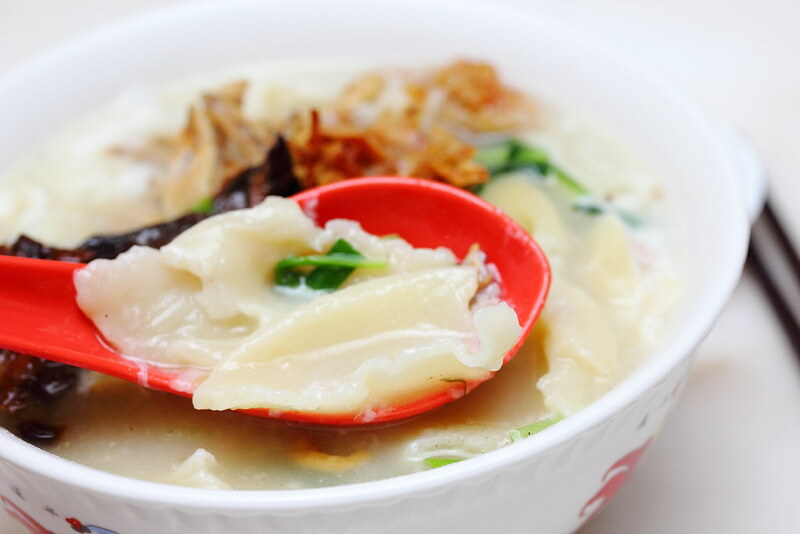 The mee hoon kuay or broad noodle is cooked to the right softness that still retained a nice bite to it. 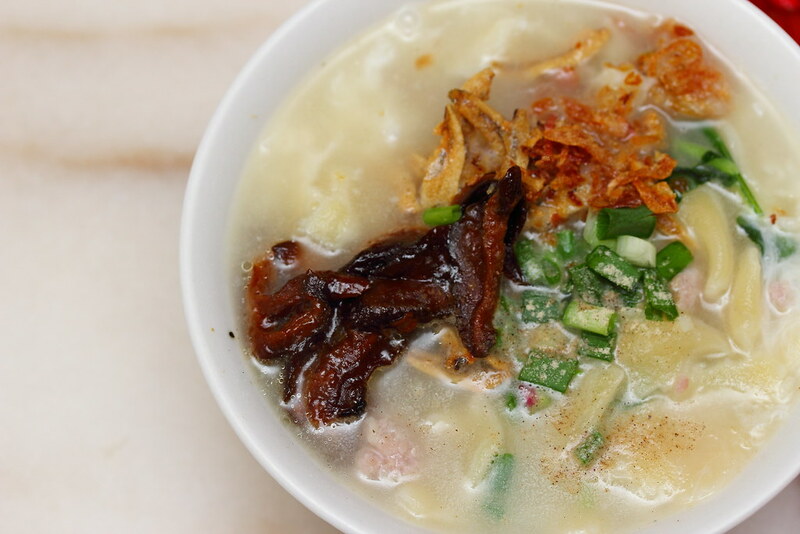 The soup itself may come across a bit too salty but if ate with the mee hoon kuay together , it is actually quite comforting and balanced. 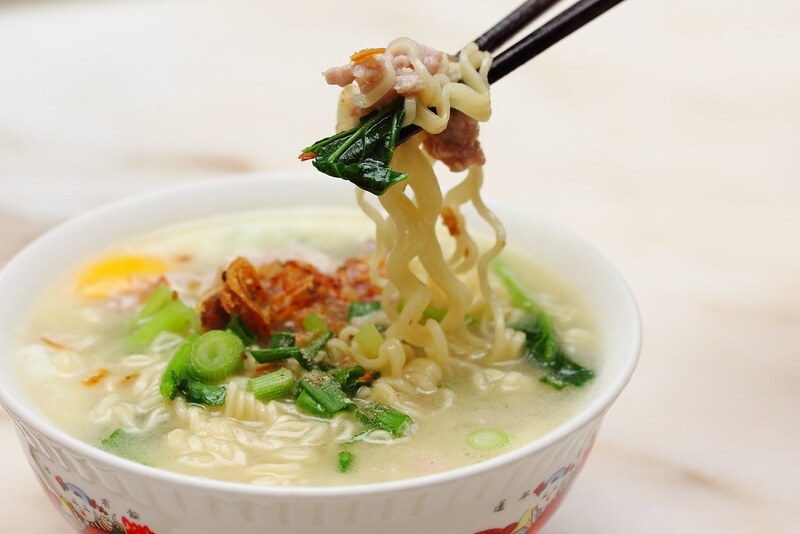 You can also replaced the mee hoon kuay with yi mian. The other noodle dish I tried is the Ke Kou Noodle ($3.50). I also add an egg for additional 50 cents. 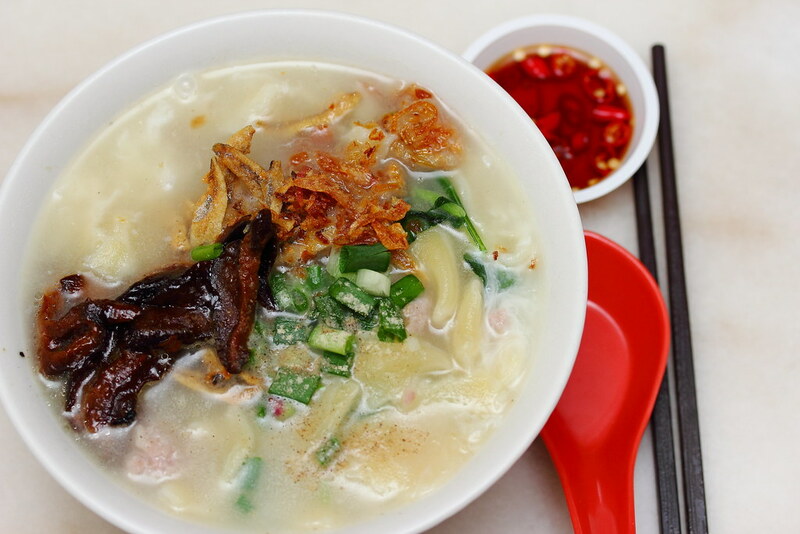 The bowl of noodle comes with minced pork, pork slices and pork livers. The soup is not as rich or salty compare to the mee hoon kuey. 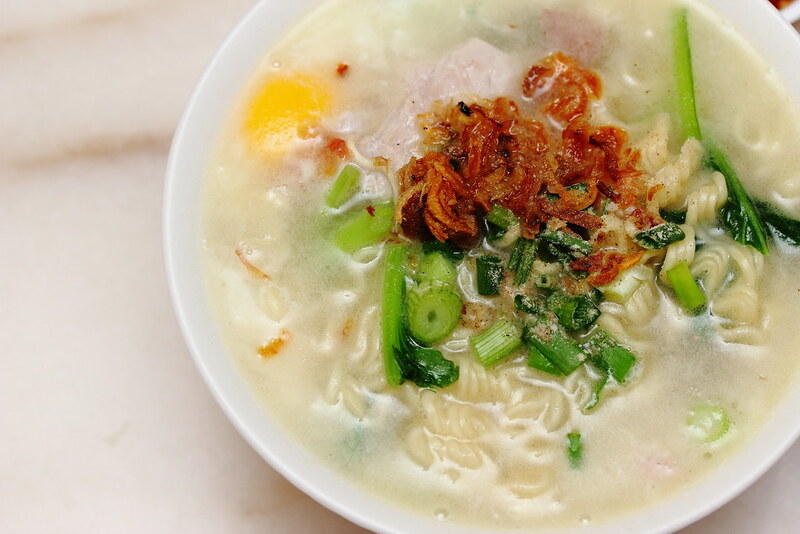 The springy noodle complemented by the hearty soup, is simply a bowl of slurping goodness. I actually like both the Mee Hoon Kuey and Ke Kou Noodle. I am not able to pick a favourite. It probably comes down to the mood that day, whether I want something rich or more subtle. 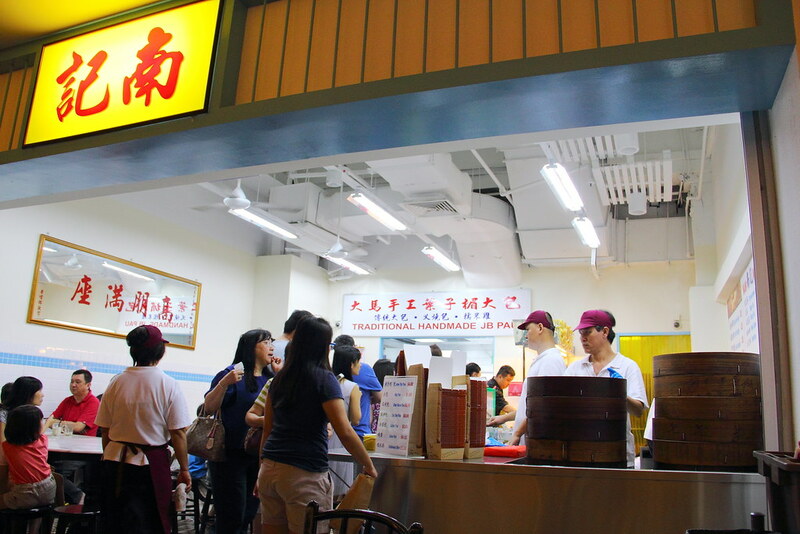 Beside the noodles, Nam Kee also sells porridge and the super big Ye Zi Mei Bao. The Bao at the shop are all handmade. Guest can see the whole making process through the glass panel at the back of the shop.